History: When you think of Oklahoma, lots of things come to mind. OU Football, hating the Longhorns, massive tornadoes, emptiness. Soda probably doesn’t set off any light bulbs unless you know of Pop’s Soda Ranch, one of the largest craft soda retailers in America. And this story coincidentally has a connection to Pop’s. But we start in a candy store, of all places. According to Triple AAA Soda President, Justin Thomas, Bricktown Candy Company opened its doors in Oklahoma City about seven years ago. He recounts a reporter coming into the store for a story on its opening. The reporter asked, “What else are you guys going to do besides sell candy?” seemingly hinting that wouldn’t be enough for the start-up business to survive on. Thomas, an avid old soda fan, opened a large notebook revealing dozens and dozens of old soda logos. But it was the one hanging off in the distance behind him that the reporter noticed. It was Triple AAA, an old Oklahoma City soda company that started way back in 1937, but disappeared in 1974. After contacting a relative of the old company, they gave the ok and Triple AAA began its comeback via Bricktown Candy Company. 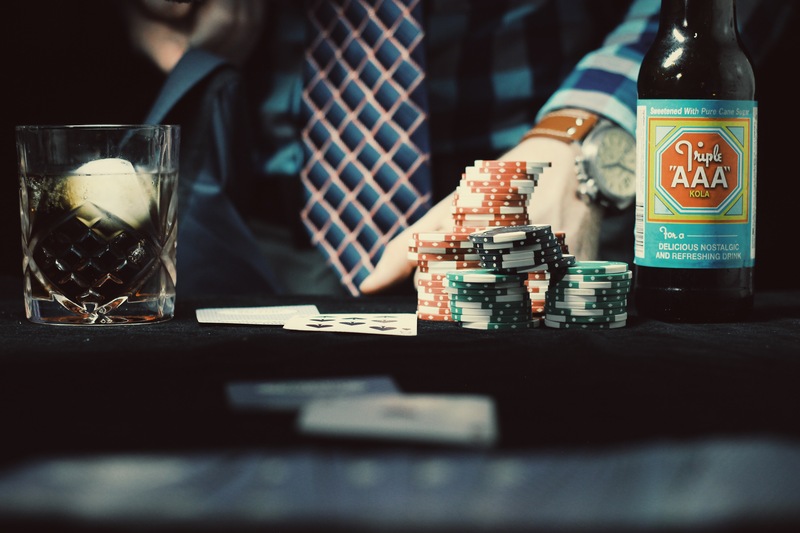 Knowing that Pop’s Soda Ranch produced its own Roundbar Root Beer, Thomas knew that needed to be Triple AAA’s flagship flavor. So he purchased the original root beer recipe, but added a few tweaks. As for the other 24 flavors Triple AAA used to produce, he decided to bring back five in total. All other Triple AAA flavors are new recipes because as Thomas said, “No one really remembered the other flavors.” The goal for Triple AAA is to become a large regionally distributed soda. But at its core, Thomas says “We try to make a local product and we’re trying to bring back some of Oklahoma City’s history.” Now, after really pumping up their root beer, we’re trying the kola. Where to get: Bricktown Candy Company sells their Triple AAA soda in their online store, though currently it looks like only root beer, cream soda and cherry are available. You can call them directly via their site and they’ll be happy to set you up. It’s also available in specialty stores and candy shops in Oklahoma, Texas, Missouri, Louisiana, and Arkansas. Taste: Kola nut; vanilla; cane sugar. This is pretty straight forward and simple. But it’s solid. Soft kola nut washes over the palate as the taste buds get introduced to this take on cola. The cane sugar in this is the most noticeable element. A very nice use of it, reminiscent of Mexican Coke. Definitely on the sweeter side. There’s some vanilla undertones in this, but not as prominent as they are when sniffing. It’s a soft cola with traditional tiny bubbles you typically find in this variety, though in this case the carbonation isn’t as flush in the mouth. The bubbles quickly fade. This has a classic old fashion, glass bottled soda taste. Finish: Cane sugar and kola with some very light notes of cinnamon. Rating: This is simple, but well done. It’s a company that began in 1937, and though its recipe has since changed, this soda definitely harkens back to the old days when glass bottle sodas were purchased after school at the ice cream store on the way home. I’d say it’s something like a cross between RC Cola and Mexican Coke. It’s a soft cola. Very drinkable, though it’s a little sweet. I think it’s probably missing something small that could take it over the top. Maybe cinnamon or some fruit notes. But this is something you should drink. 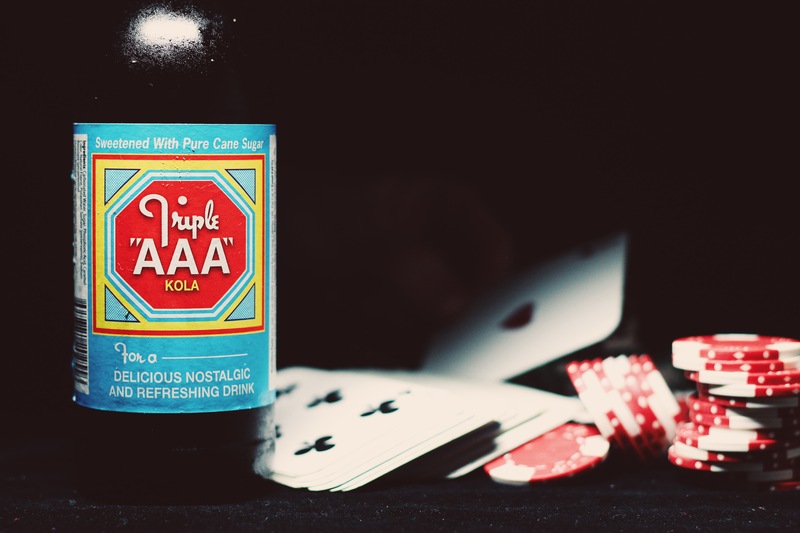 Little bottlers like Triple AAA are what make the craft soda game fun. What a name too. Who actually calls themselves triple letter… and then promptly spells out the letter three times as if you needed guidance? I’ll tell you who else. This guy. I bet this probably goes great with booze too. I’m going on a blind date after this, so I’m definitely about to find out. Get a bottle, crack it open, and in the immortal words of Triple HHH (who should really sponsor this)… time to play the game.